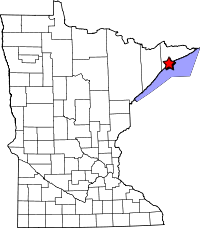 Located In: Tofte Township, Cook County, between Tofte and Lutsen. North end: Entrance on the northbound side of Highway 61, just south of the Chateau Leveaux, across from Leveaux Ridge. 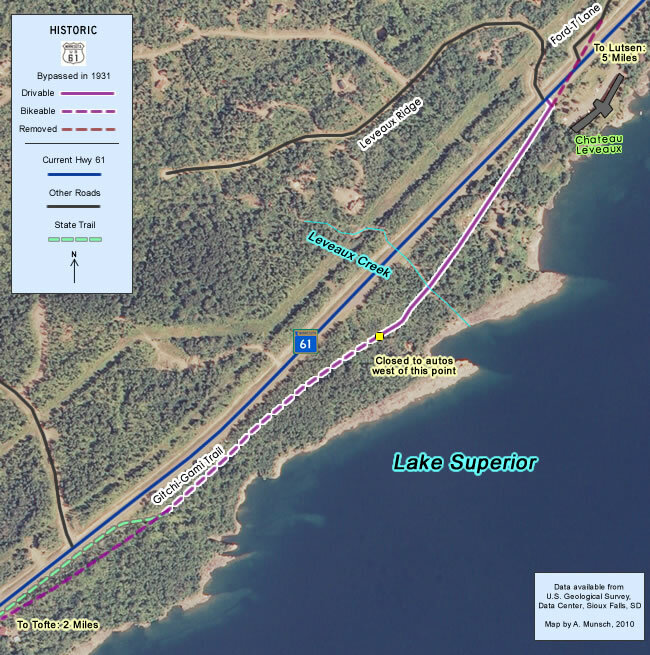 This short section of the old north shore highway was left behind as a local road during the construction of the first modern highway in 1931. Records show that it was still gravel at the time. 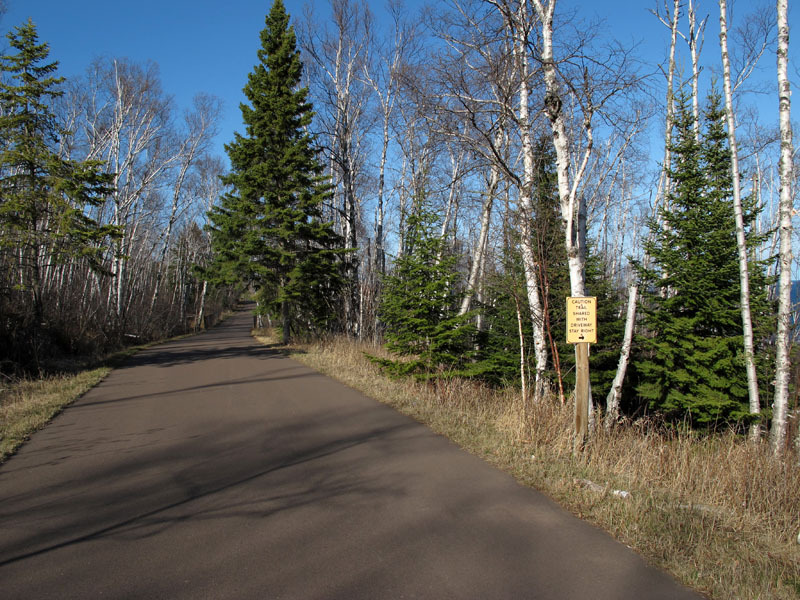 Very recently it was repaved and incorporated into the Gitchi Gami state trail. The east end still serves as a driveway for a few local residents - with whom cyclists are warned to share the road. 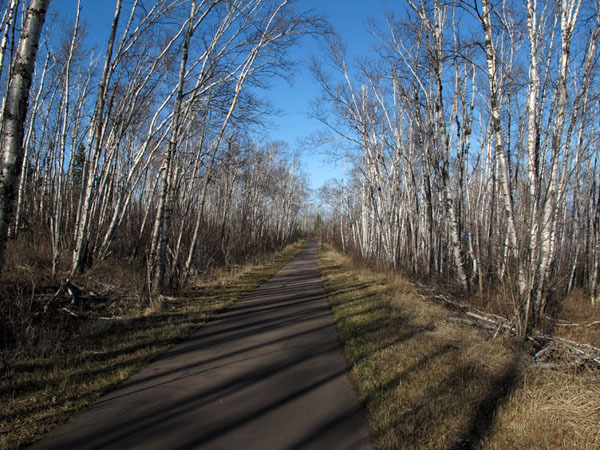 Northbound on the Gitchi Gami Trail, just northeast of Tofte. The trail enters the historic highway grade just ahead, after the curve. A bit further along on the trail, looking northeast, surrounded by birch trees. 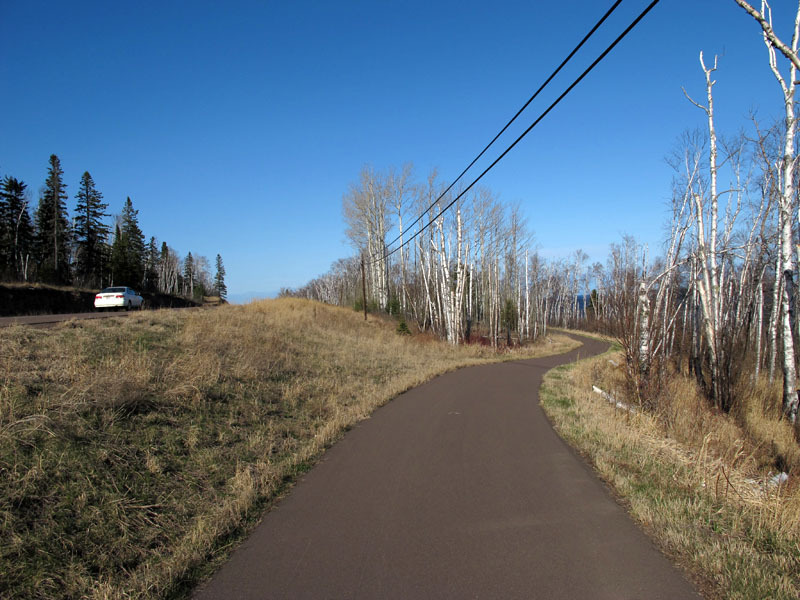 The sign on the right warns cyclists that the road ahead is still an active driveway. Just ahead is the culvert over Leveaux Creek. 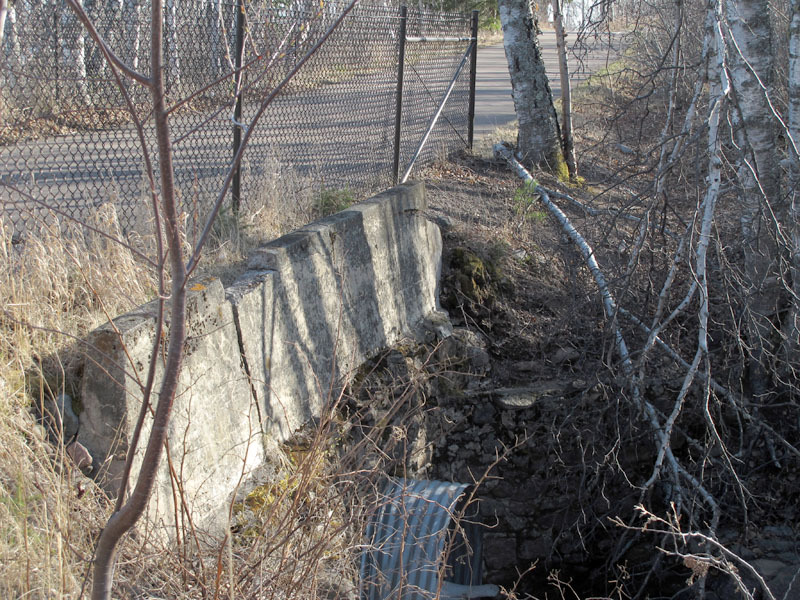 A view of the north end of the old culvert over Leveaux Creek. Note the old stonework around the pipe. 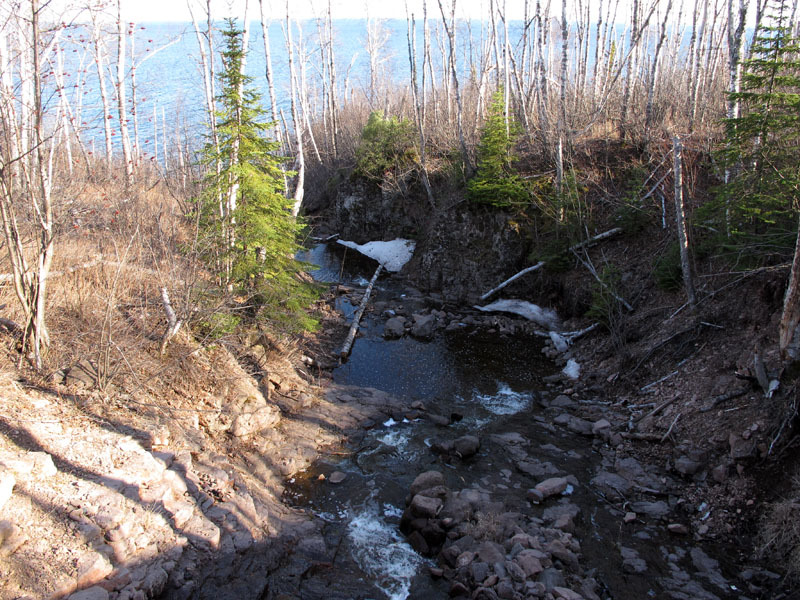 Looking south from the trail down Leveaux Creek as its descends towards Lake Superior. 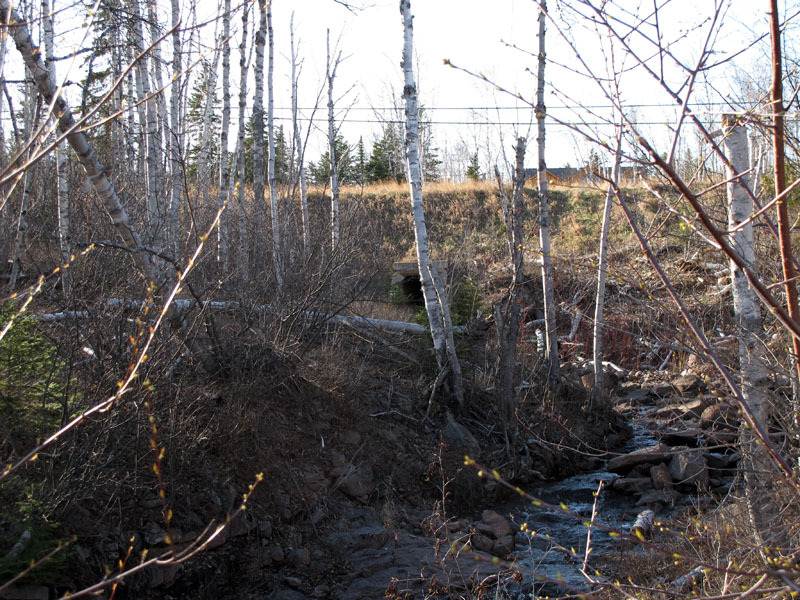 Looking up the creek to the north towards current Highway 61, with the current culvert visible.